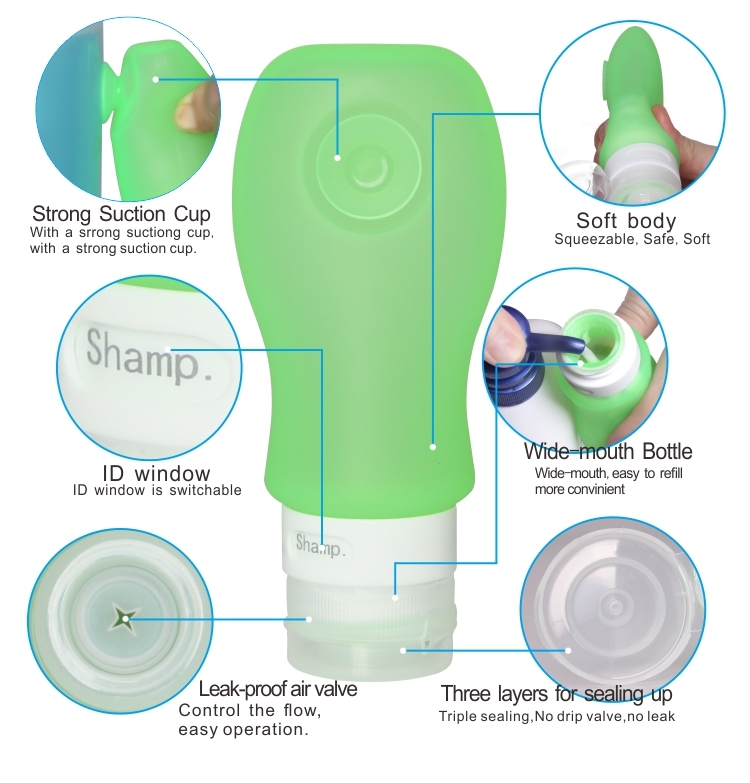 This BPA Free Silicone Shampoo Cosmetic travel Bottles is our classic type which top hotsale for many years, the material is liquid silicone, with FDA BPA Free & LFGB certificates. Meet USA & Europe standars. The travel size toiletries containers with three layers of leakproof cover, plus the leak valve, ensure no liquid leakage. The reusable travel bottles leak valve controllable flow, zero wasting. And Size 30ml 60ml & 89ml,with large caliber,filling easier, mini size more convenient to carry. 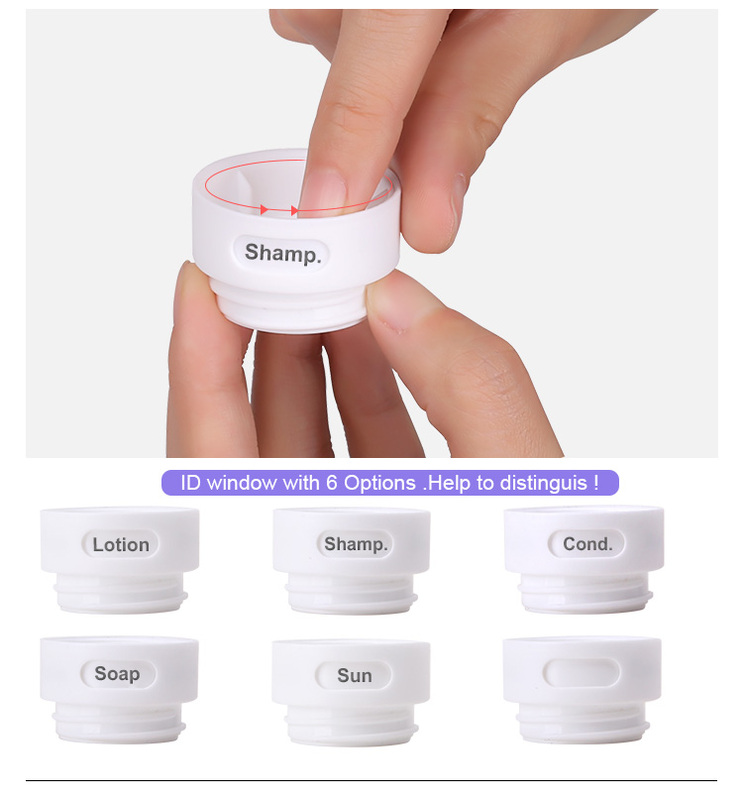 The travel size refillable bottles is light and convenient, can install shower, gel, shampoo and so on. 24-hour service: We are here reday to serve you anyday and anytime. Build your idea: Your any idea about silicone products are firmlysupported by our team, your any customized design is welcomed. Looking for ideal Tiny Travel Bottles Manufacturer & supplier ? We have a wide selection at great prices to help you get creative. All the Refillable Silicone Tubes are quality guaranteed. We are China Origin Factory of Travel Size Squeeze Bottles. If you have any question, please feel free to contact us.